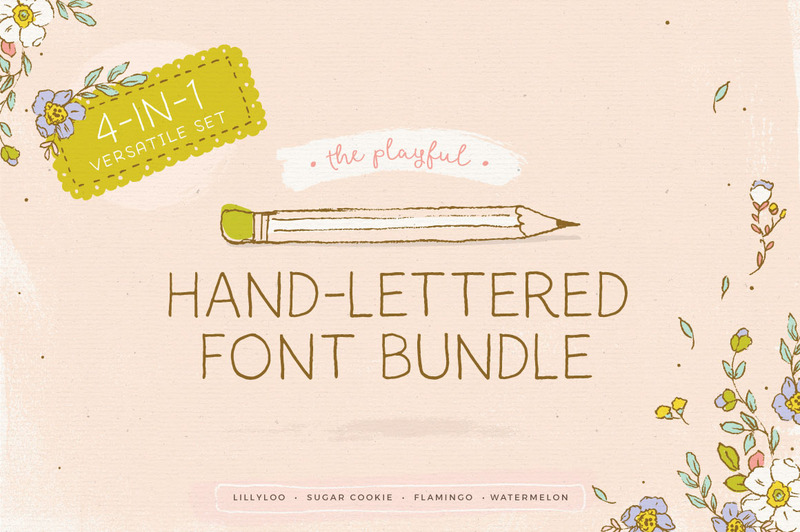 Introducing The Playful Hand-Lettered Font Bundle bursting with personality! Featuring four handcrafted fonts, this versatile bundle includes delightful scripts and easy-to-read san serif typefaces. 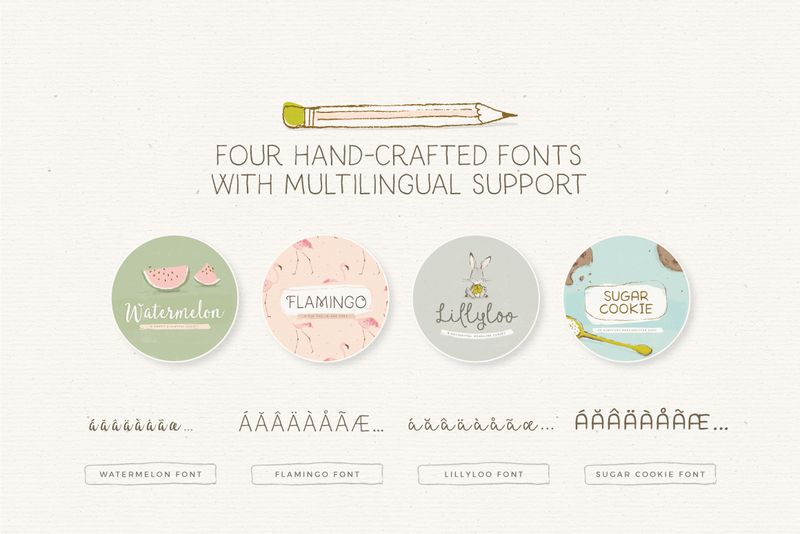 An all-in-one solution for adding a lovely hand-lettered touch to your work. This font bundle is perfect for branding, invitations, planners and printables, blogs, packaging, overlays and so much more! Adding an authentic hand-lettered personal touch to your projects couldn’t be easier! You’ll receive a wide range of formats including .OTF and Web font versions ready to add hand-lettered goodness to your work. Aww thanks Deborah, we totally agree, these are simply delightful!